The 20th was the first day of Spring. Have you seen the first Robin of Spring yet? Take a look around outside–do you see one? 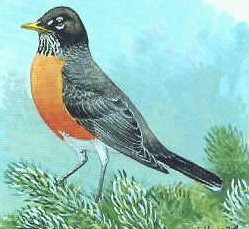 If you don’t have Robins where you live, what are some of the first signs of Spring where you live? This activity promotes season identification and visual identification skills.